ACAL has a busy few months ahead. Keep watching for news of a response to the VET FEE HELP discussion paper, webinars, the Resilience - Stories of Adult Learning launch, and an AGM conducted online. Remember to keep your Provider Details updated on the Reading Writing Hotline. Explore student resources and the new website. Also, check the resources and stories at 26ten.tas.gov.au. They are finding Plain English workshops are an engaging way to have conversations about literacy and numeracy. This might be an idea worth exploring in your area. Language, Literacy and Numeracy (LLN) is the heart of success for all learners, especially those in the VET sector, and should be considered core business. Velg Training has released a suite of webinars with Ann Leske and Chemène Sinson focused on how to best support LLN during Vocational Education and Training (VET) delivery. The conference is organised by the Australian Council of Deans of Education Vocational Education Group (ACDEVEG) in partnership with the School of Education, University of Technology Sydney and Sydney TAFE. This is an important forum for VET practitioners, teacher educators, researchers and policy makers to share knowledge and work collaboratively to strengthen teaching and learning experiences and outcomes in the VET sector. Adult literacy and numeracy practitioners working in the VET sector would be able to benefit from the networking, discussions and sharing of strategies and conundrums with colleagues from the wider VET community. Email acdeveg2016@uts.edu.au to be placed on the mailing list for further announcements. Thanks to those who have responded to the 'coffee rings' reminder. Some thught we wer sedning a coffee cup - no, just trying to catch your attention. 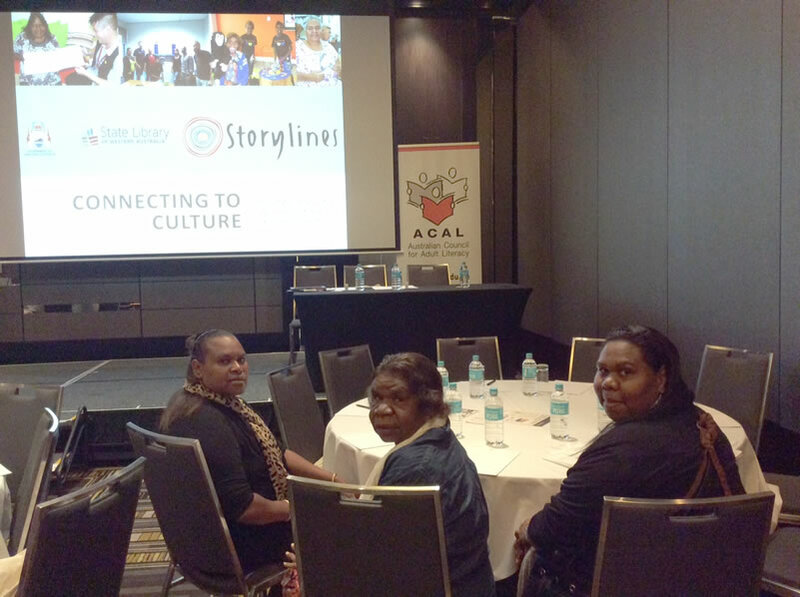 ACAL provide support for an Indigneous person to attend the 2016 Conference 'Diversity: changing ways of being'. The successful applicant was Anna-Lisa Egan from Yuendumu. See her report and pics here (and the Google map challenge). After the closing date of submission on 30 April, a preliminary 190 page pdf anthology of the stories was compiled. The project team members are going through the stories to identify necessary 'light edits', chasing permission forms from learners (or the providers in some cases), producing transcripts of audio contributions so that the written version could be included in the anthology and uploaded next to the audio on the website, and checking that there are no copyright issues. 'Building Strength with Numeracy' are practical, tested resources for teachers to use in a range of settings and made accessible online. Each section of each topic is a PDF allowing immediate downloading, printing and use by teachers and students. The first six topics are provided as a free download for all numeracy practitioners. The topics 'Decimals and 'Measurement' are free to VALBEC members and available for a small charge for non-members.